Payment is easy through Paytm App. You can send money to your friend in just a few seconds. In addition, you can also accept payments via Paytm. It is also very easy to take payments through Paytm.How can you pay with Paytm? 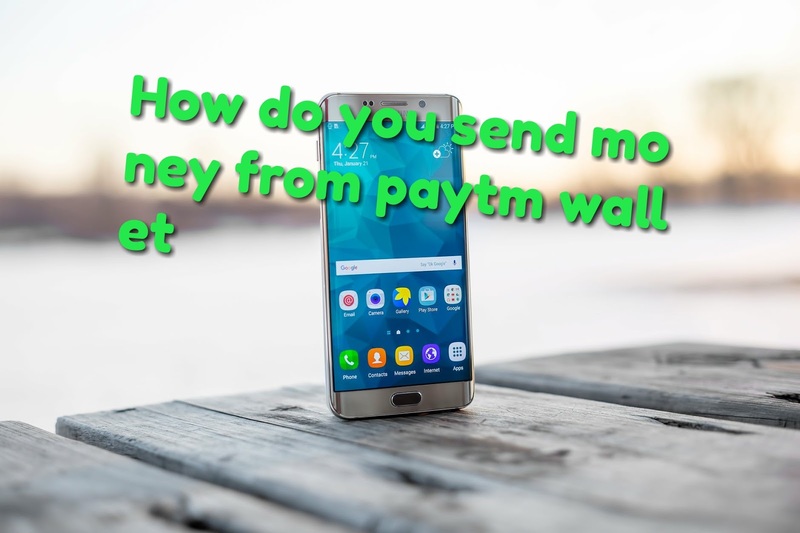 What is the method of sending money from Paytm? How can you accept payments from Paytm? Two major methods are used to pay from Paytm. Through these methods you can send money to any of your special friends. 1. To pay with Paytm Registered Mobile Number first log in to your Paytm Account. Then tap on "Pay". 2. After tap on Pay a screen will open in front of you. The above will be the place to write the mobile number above. Tap "Mobile Number" from here. 3. After doing this, this type of screen will open in front of you. In which you have to write Registered Mobile Number, Amount, and Optional Description. And Tap on Proceed. 4. Now you will get a message of Confirm Payment. From here to "Proceed to Pay ...? (Amount) ". Meaning you really want to pay. It has to be approved. 5. As soon as Tap on Proceed you will get a message of Payment Successfull. That means you have paid. You have now learned to pay by Mobile Number. After this we will talk about how to pay with QR Code? So, we can tell you that paying with QR Code is as easy as paying with Registered Mobile Number. So let's know how QR Code is paid? How can you also send money to your friend? 1. The 1st and 2nd step will be the same for paying with QR Code, which is used for payment by Paytm Registered Mobile Number. Just replace the "Mobile Number" now with QR. For this you read step 2 below. 2. After the tap on pay, the screen will open in front of you. There will be a place to write above the mobile number. And the camera of your mobile phone will be running under it. It will be written, "Point at Paytm QR Code to Pay." You have to bring QR code in front of it. 3. Once the QR Code Scanner comes in front of it, it will scan it. And tell about that person. Which you want to pay. 4. After that you want to pay. Write the Amount, you can write the reason for the payment in the Optional Description. Then tap on "Proceed". 5. Now you will get a message of Confirm Payment. From here to "Proceed to Pay ...? (Amount) ". Meaning you really want to pay. It has to be approved. 6. As soon as Tap on Proceed, you will receive a Message of Payment Successfull. That means you have paid.